There’s a tricky like that subscription services like Sony’s PS+ must walk in terms of the free games offered every month, seen by some as a merely a perk and others as a necessary component of whether to stay on or not. Variety is paramount, of course: the ability to offer a unique selection of games that somehow differ from the competition. However, the quality of the freebies also becomes a factor, since … well, if the games aren’t all that great, then players might grow frustrated with the perceived value of the freebies. Props to Sony for thinking outside the box for their August downloads, ranging from a pseudo open-world gangster experience to a unique multiplayer horror game and a new stab at a dungeon-crawler RPG. 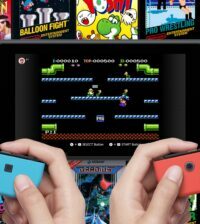 However, none of the titles this month have been particularly well-received by either critics or eager gamers, yielding a dubious and lackluster slate of downloads. Let’s look closer. The Mafia franchise may have been around since the early 2000s, but it’s only fired off a grand total of three releases in that period, taking its time between each game as it’s passed between developers. Most recently, Mafia III takes the familiar game design of the previous entries and brings it to late-‘60s New Orleans, in which a Vietnam war vet gets embroiled in the machinations of the region’s mobsters and exacts revenge upon them for murdering his family members. The hope has always been that the gang warfare and semi-historical period of the Mafia series would disguise its sandbox similarities to Grand Theft Auto, and for the most part that’s been the case, though Mafia III constantly struggles against mission repetitiveness and an attractive but unengaging open world that weigh it down. It’s unsurprising at this point to see two games of a similar concept come out in the same year, as Dead by Daylight shares more than a few likenesses to the recent Friday the 13th gaming experience. 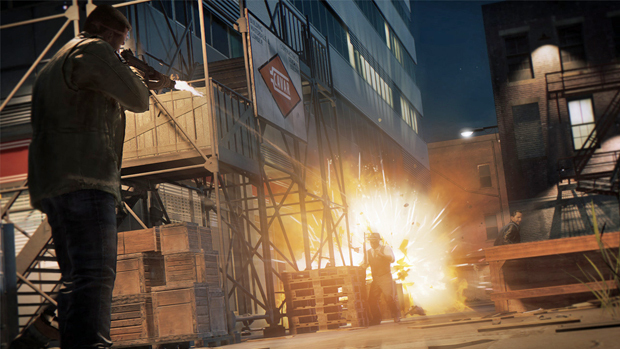 Players take on either one of two roles in the 4 vs. 1 gameplay dynamic: either as an indestructible murderer (one of several to choose from) pursuing their targets, or as one of many potential victims attempting to escape the killer. The victims rely on stealth and strategy to escape their surroundings, manipulating generators and tinkering with hooks, while the killer methodically moves toward his or her targets and attempts to either make them bleed out or drop them on said hooks. Thus, Dead by Daylight captures the essence of classic horror movies quite well, though the deliberate limitations of the experience also encroach on its successes as an actual PvP game. 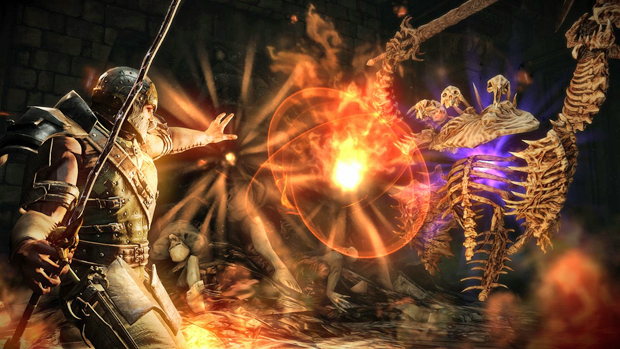 As I’ve mentioned before in previous articles, it isn’t easy for new action-RPGs to break into the market, both because of their renowned AAA competition (Elder Scrolls, Dark Souls) and because of a healthy range of lower-tier, yet high-quality contemporaries, such as Dragon’s Dogma and Kingdoms of Amalur. 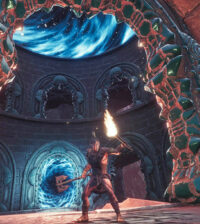 Bound By Flame puts forth a tried-and-true effort to enter the fray by offering character customization, class selection, crafting, different approaches to combat, and party relationship mechanics, revealing all the tools that one of such RPGs might need to battle against others of its type. 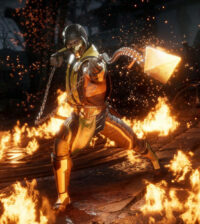 It’s the other nuts-‘n-bolts holding everything together that make this attempt from game developer Spiders a bit rickety, where clumsy combat mechanics unjustly spike difficulty levels and the depth of both the story and relationship developments tend to be much shallower than they should be. Despite this, both critics and those yearning for something new from the subgenre still found plenty to dig into with Bound by Flame, reminding them of other games while satisfying their hunger. Ah, Serious Sam. Kind of like a cross between the aesthetic of Tomb Raider with the first-person shooter gravitas of Duke Nukem and/or Doom, the franchise found a way to strike a chord with fans upon its introduction in the early 2000s. That’s mostly for the visual presentation in its first two entries, which have been spit-polished through remakes over the years. Serious Sam 3 aims for another wild powerhouse of a first-person shooter, forming into a prequel to the events of the other games as it sends Sam Stone careening through levels overrun with aliens ready for his bullets. A tactical cover shooter this isn’t, as the full objective here hinges on old-school shooting reflexes in the decimation of waves upon waves of enemies. Some have lamented the straightforwardness and lack of innovation, while others have found that it enters a vintage comfort zone with its explosively simple, often challenging ambitions. Titles don’t get much more literal and descriptive than Draw Slasher, a gesture-based action game from Mass Creation. 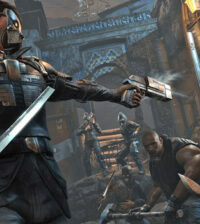 As a ninja, the player uses push-based mechanics to control the character and sharp slashing motions to conduct attacks, slicing and dicing through zombies. 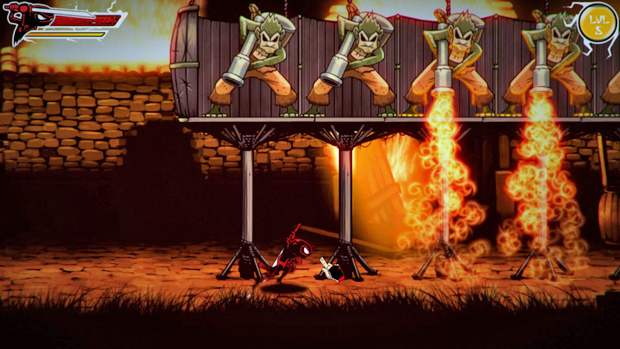 Personality and casual addictiveness seem to trump its one-dimensional aims, though many can’t seem to see Draw Slasher as anything beyond a mobile game carried over to the Vita. Having nothing to do with the Marvel character, Space Hulk adapts a board game released in the late ‘80s that’s set in the Warhammer 40K universe. A tactical experience set aboard a cluster of abandoned ships – the “space hulk” – that have been occupied by alien forces, the game requires the player to maneuver a shuttle to the end of the hulk, pushing through some of the universe’s critters to get there. The general consensus among critics and players is that Space Hulk adapts the game in about as accurate and straightforward of a way as possible, which ends up being both its strength and weakness.